Should Big History be taught in schools all around the world? Cynthia Stokes Brown certainly thinks so! 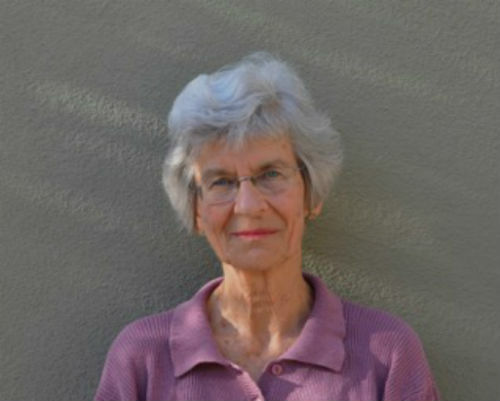 She joins Project Coordinator Kathryn Ford for a chat about the importance of Big History and her new book out soon Big History, Small World. 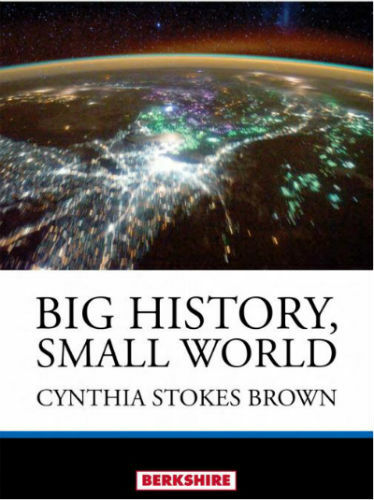 What's unique about Big History, Small World and how does the book work alongside the Big History Project curriculum? Big History, Small World is unique in that it is the first book written in English for the high school level. (There is one in Dutch---Constance van Hall, Big History: Een vakoverschrijdende geschiedenis voor de bovenbouw or An Interdisciplinary History for Senior High School Level). In Big History, Small World I try to explain things fully and clearly in the hope of reaching, not only adolescents but a general English-speaking audience, and of translating easily into other languages. Why do you think it is so important for Big History to be taught in schools? The answer to this question has many levels. At a basic level, contemporary students are often lost in a sea of facts without a framework on which to organize them. They can hardly construct this framework by themselves, as they are usually left to do. The big history story offers a framework that encompasses all of their studies. At the same time, it engages their interest because it deals with the most fascinating, overarching questions and it helps them learn to think clearly and validly. At another level, big history offers a map of time to students, enabling them to see where in time we are, how we got here, what directions we may be going, and what choices we may have about where we're going. At yet another level, big history provides a common origin story for humanity. It enables us to expand beyond our smaller, tribal or national loyalties to feel ourselves belonging to a single global community, a prerequisite for dealing with the challenges that face us. It makes sense of our global situation and ties us all together into one story. For this reason I am hopeful my book will be translated many times and be used in schools around the world. In your book you talk about people interpreting Big History and finding meaning in it. What is the greatest lesson you think we can learn from Big History? Big history is a story, a narrative, and any story has implicit, if not overt, meanings. As a teacher, I feel most effective when I'm not telling students the meaning of big history but rather engaging them in discussing and figuring out what it means to them individually and to humans collectively. At the same time, the big history story does seem to say clearly that, while humans are currently in an unprecedented situation with 7.4 billion people, a changing climate, and a major extinction, humans have so far figured out ways to survive and multiply. Big history seems to me a rousing story propelling us to action in the directions it suggests are necessary---fewer people, much lower carbon emissions, and much more care for the resources and life of our planet. These actions can only emerge from a transformation of attitude from that of conquering the planet and using it for our advantage to feeling part of it and caring for it as part of preserving ourselves. That may be a paradox---that science today is undermining part of the scientific attitude of the past. In the first chapter you explore the scientific method. Tell us about how you used this chapter to establish the approach you take throughout the book. It's a bit complicated to understand what science can do and what it can't do, or how a scientific origin story differs from other kinds of origin stories not constrained by observable, shareable evidence. At the same time, scientists often don't discuss the limits of their knowledge or the areas that they still don't understand. So I want students to start from a discussion of what science is, how it operates, and how big history tries to stay within the limits of scientific knowledge, while at the same time acknowledging the gaps in that knowledge. Such a discussion is, of course, a very brief introduction to highly complex philosophical thinking. How can we use Big History as a framework to consider the future of our planet? The future is what interest us most, especially young people whose lives are ahead of them. They must make choices about how to position themselves based on how they appraise the current human situation. At Dominican University of California we have learned to save plenty of time at the end of our course for discussing the future because that's what our students care most about. Big history empowers students, and all of us, to make wise decisions, because it offers a reality-based description of where we currently are, namely, in an extremely challenging situation. This is not good news, but at least big history shows us where we are, rather than leaving us flailing around in the dark. To use David Christian's metaphor of big history as a map of time, if you were lost in a desert, wouldn't you want to have a map that shows which direction you should head? What advice would you give to high school teachers who are interested in teaching Big History but are unsure about tackling a new discipline in the classroom? I see big history as many disciplines combined into a new field. It appeals most easily to those who have always been generalists, those reluctant to count any discipline off-limits to them. But anyone can adopt a generalist attitude. Perhaps the key is to abandon the role of teacher as the font of knowledge (the sage on stage) and to take on the role of coach or guide. Teachers tend to feel embarrassed if they don't know the answer to any question, but in big history that is clearly impossible. (The Internet knows all the answers.) With big history, teachers can relax and learn along with their students, without relinquishing their authority as the leader of the classroom. The bottom line is that no teacher needs to do it alone. The Big History Project offers the most useable, flexible curriculum materials imaginable, tested and revised by input from real teachers and classrooms, as well as offering on-line support groups and real-life training institutes. The rewards of teaching big history, both professional and personal, are immensely gratifying. I have seen teacher after teacher gain renewed joy and connection through teaching big history. I would say to any high school teacher, if you are attracted to big history in any way, jump in and take the chance. The rewards are immeasurable. Big History, Small World is out 31 December 2016.